MIAMI, FL - NOVEMBER 10: on November 10, 2018 at American Airlines Arena in Miami, Florida. The Wizards concluded their three-game road trip by defeating the Heat 116-110 Saturday night in Miami. Both teams were coming off a game the previous night, losing to Orlando and Indiana, respectively. John Wall had a strong start to the contest, and ended the first quarter with 12 points. Offensive rebounding also proved to play a factor in the early going, with the Wizards collecting five in the first quarter. The Wizards found themselves down 10 at the end of the first quarter, but responded well in the second frame. The Heat entered halftime with a three-point, 61-58 lead after an Otto Porter Jr. and-1 helped the Wizards close the gap. The Wizards also benefited from 18 first-half free throws. The third quarter featured back-and-forth action, with neither team establishing firm control. Jeff Green, who was trailing a Kelly Oubre Jr. miss, made it an 85-83 Heat lead merely seconds before the end of the third quarter. The Wizards started the fourth quarter on a 6-0 run. The Wizards held a 99-95 lead with 6:25 to go in the game, before a series of plays put them up for good. 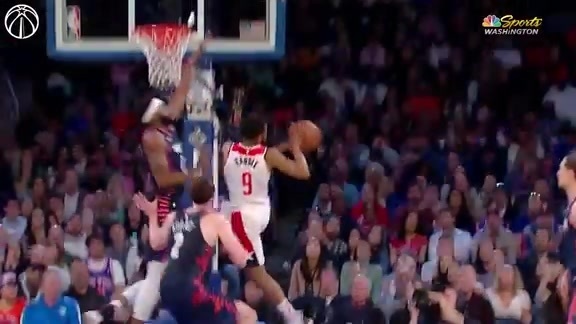 The Wizards erupted for a 9-0 run, which was capped with a Wall 3-pointer. Washington kept their foot on the gas for the remainder of the game, closing out the fourth quarter and picking up the win. 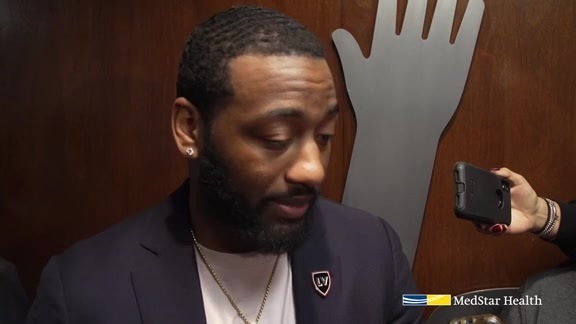 Coming off a double-double performance against the Magic (19p, 12a), John Wall once again turned in a big night for the Wizards. Wall finished with a game-high 28 points, as well as 9 assists. Wall was particularly clutch in the fourth quarter, totaling seven points. Wall was active on the defensive end all night, and shot 45 % from the field. Saturday night marked the seventh time this season Wall has finished with 20+ points. Jeff Green, Dwight Howard and Austin Rivers, who were all acquired in the off-season, had significant performances in the win over Miami. Green knocked down his first seven shots, and ended the night with 19 points and 10 rebounds. 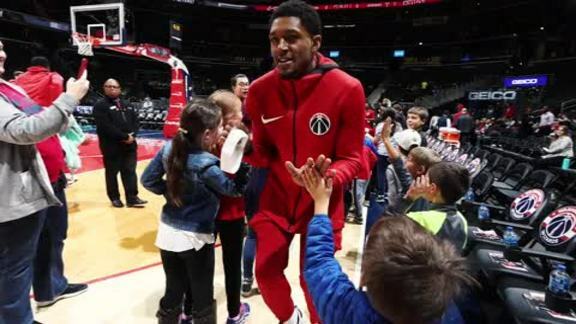 He added a big spark for the Wizards off the bench, especially with Markieff Morris in foul trouble. The veteran forward also added two highlight-reel worthy alley-oop jams. Green cited composure and keeping pace as key contributors to the team's win. Rivers turned in his best game as a Wizard, as he ended the night with a season-high 18 points. Additionally, Rivers tallied five rebounds and three assists. Against the Heat, Rivers played aggressively and attacked the lane on more than one occasion. Dwight Howard was a large reason why the Wizards out-rebounded the Heat 59-49. Howard grabbed 16 boards, including 15 rebounds after the first three quarters. Howard also turned in 11 points. The trio of new Wizards provided a much-needed spark for the Wizards. 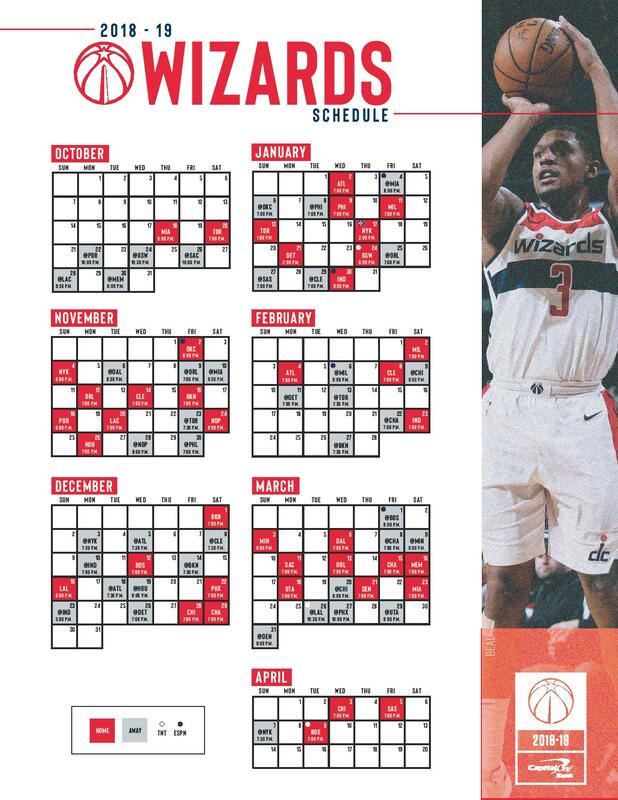 The Wizards return to the court Monday to host the Orlando Magic. The Wizards will look to rebound against the Magic after losing 117-108 in Orlando Friday night. That game is slated for a 7:00 p.m. tipoff (NBCSWA, 1500AM).